On Thursday March 11, a suit was filed in Sonoma County Superior Court challenging the City of Petaluma’s approval of the Environmental Impact Report and project entitlements of Regency Centers’ East Washington Place development. 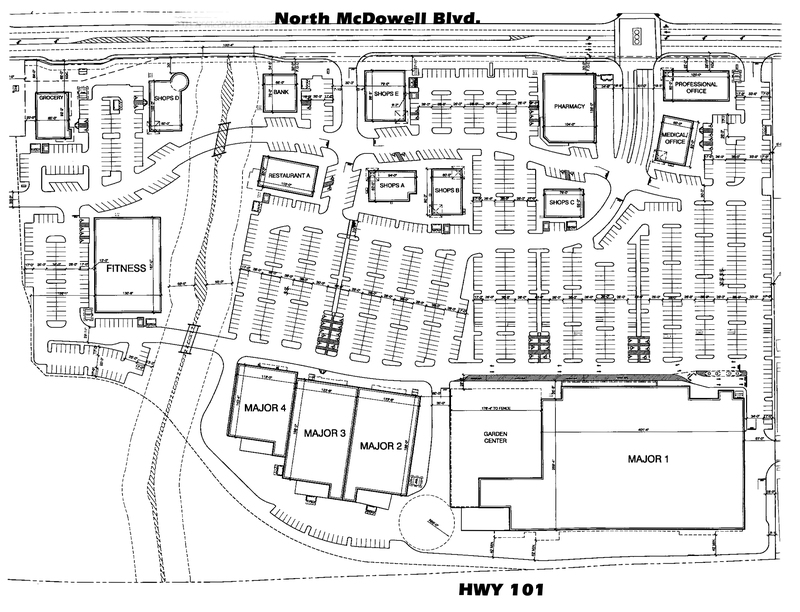 The anchor tenant would be Petaluma’s first big box chain store, a 130,000 square foot Target. The suit was filed on behalf of the Petaluma Community Coalition (PCC) by the public interest law firm of M.R. Wolfe & Associates of San Francisco. The PCC is comprised of a number of Petaluma residents and community groups, including the Petaluma Neighborhood Association, the Petaluma River Council, Petaluma Tomorrow and the OWL Foundation. The suit’s intent is to get the City to recirculate the EIR to fully account for the negative impacts that were left out and to include a number of proposed mitigations that would lessen the project’s impacts. PCC also wants the Friedman’s Home Improvement store, touted by Regency as a likely major tenant, included in the revised EIR. Better mitigations of the traffic impacting a number of major intersections and East D St. should be part of the conditions of approval, along with ways to reduce the project’s significant greenhouse gases and air pollution. Maguire and Francis note that Regency has been uncooperative with the City as well as neighborhood and citizen groups that want the project to reflect the site’s General Plan vision. The forgery of letters of support that were published in the Argus Courier, the baseless but expensive lawsuit filed by Regency against the City in the middle of the normal public review process, the lack of complete documentation provided in a timely manner, and the resistance to consider changes that would make the project align better with the GP have all made gaining even meager consensus nearly impossible, they said. The review process has been skewed by gross misinformation in the press, developer PR ploys and hostility from Target supporters who have unfairly attacked the current council majority for, in their opinion, not approving the project quickly enough. PCC’s members note that more important than haste is to ensure good planning and a full public review, where all the problems are revealed and honestly addressed. This hasn’t been done, in part because of the pressure on the council to satisfy critics, Regency’s threatening lawsuit and the poor financial condition of the city. Development in Petaluma over the past two decades has been mixed. The Factory Outlet Mall, built in a floodplain, has flooded and the ungainly Auto Mall sign is not what was approved. The Kohl’s shopping center with its empty stores and useless architectural embellishments is typical of obsolete and unsuccessful shopping center design. On the other hand, the Theater District, an outgrowth of the Central Petaluma Specific Plan, has received wide acclaim. That project went through more community input than any of the others. Learn more about planned development in Petaluma. being considered by the City.